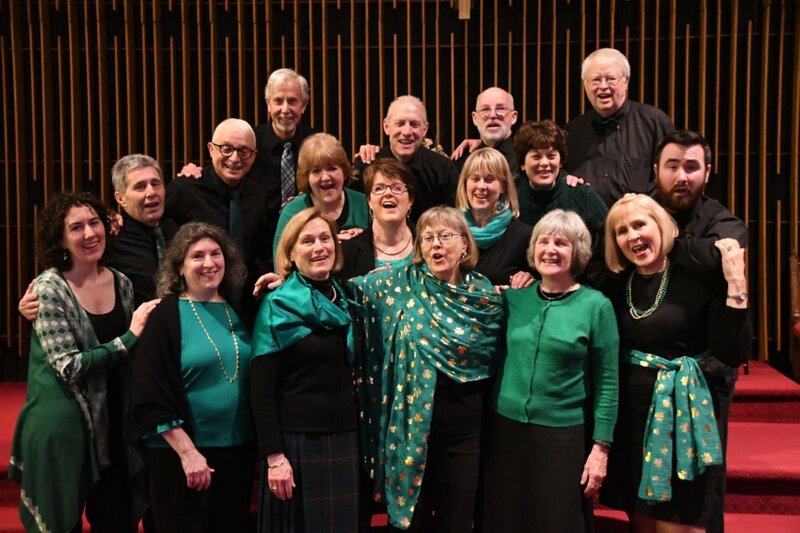 Thank you to our wonderful Celtic Tapestry audience for sharing the fun of the "wearing of the green"! You can still listen to the fabulous Torrin Ryan and Elizabeth & Ben Anderson. HAPPY SPRING from the Oure Pleasure Singers! — from "Sing We and Chant It"
​﻿Oure Pleasure Singers is a small group of vocalists dedicated to the joy of serious music-making. Comprised of singers from Providence, Attleboro, and surrounding communities, the ensemble sings an eclectic variety of music, ranging from plainchant to jazz, and embracing both the sacred and the secular. Based in Attleboro MA, Oure Pleasure was founded in 1983 by friends who were seeking the special enjoyment of a small, closely-knit vocal ensemble. In its earlier days, Oure Pleasure concentrated on madrigals and music of the Renaissance and Medieval periods, and its name is borrowed from the words of the madrigal "Sing We and Chant It," once its signature piece. After you click "Subscribe" you will receive a "Please Confirm Subscription" email.